Get these fall inspired donuts before they’re gone! This fall flavor is absolutely delicious. Flaky crust of the croissant with the savory and sweet of the pumpkin. You need to try this one! Lemony cake donut with a super creamy blueberry glaze. They even roll the blueberries in sugar, which makes them like little candies on top. 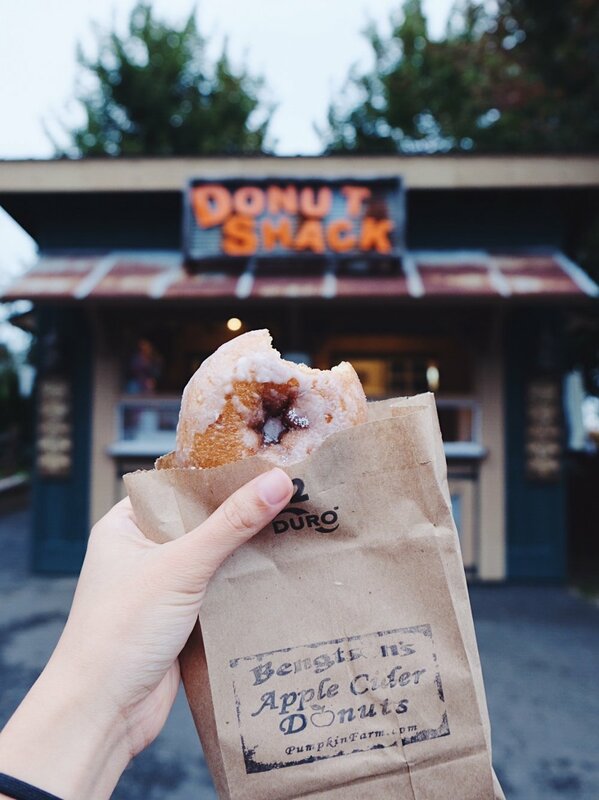 Classic apple cider donut that takes you back to being a kid. Running around in an apple orchard and a corn maze. Time for a hayride! Super dense and moist cake donut with pumpkin filling with a light vanilla drizzle. These mini pumpkin pie donut have delightful whipped cream on top topped with a pumpkin crumble. Talk about a bite of autumn heaven! Older PostOur First Blog Post!